Street artist Banksy who has recently put some of his famous stencil work up in New Orleans and Alabama and enjoying the expected amount of publicity that comes with it. 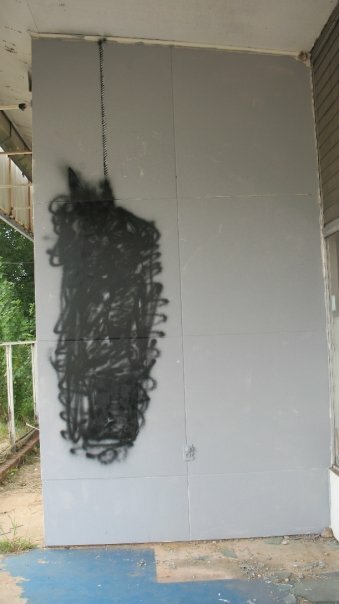 Although the latter has sparked some controversy, and the piece has been removed by the authorities perhaps its something to do with the depiction of a KKK member being hung which has touched a sore point with them. From what I’ve read it was the locals that didn’t like it and not the authorities. TBH it seems very weak in comparison to his excellent work in New Orleans.